We’ve taken a thorough approach to City of Chandler dumpster rental. We’re actively hauling in the city and we’re able to pass our volume pricing on to our customers for competitive prices when they choose Discount Dumpster for their waste disposal projects. Call our experienced team of trash professionals to obtain a quick price quote that will include the size, weight and length of rental period. We’ve made it easy for our customers to rent dumpsters in Chandler, our quick ordering process speaks for itself. Call us today! Good for full room remodels at your home and larger home and garage cleanings. The uses for this size container are for minor roofing projects, DIY renovations, landscaping debris, and more. *Dumpster prices are subject to change. Useful for larger jobs around the house, both interior and exterior. This size dumpster rental is typically used for kitchen and/or bathroom remodels, roofing jobs, garage clean outs, attic clean outs, and large landscaping projects. 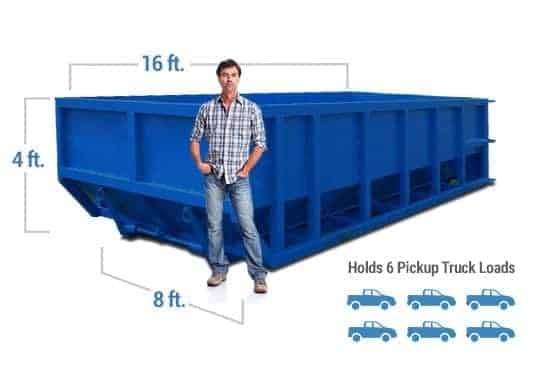 Great for large jobs where multiple truckloads of debris would be a necessity. 30 yard dumpsters are commonly used on construction sites and full home remodels. Good for large projects with large bulky material. Mainly used on commercial construction sites due to the height of dumpster walls. I found a good company so I can use for other projects .Very quick response and good availability . 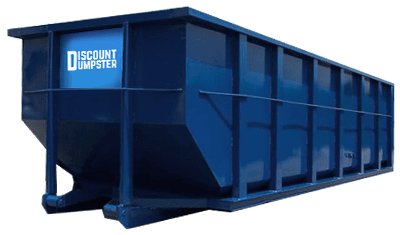 When you’re searching for Dumpster Rental Chandler, Discount Dumpster is here to help you fulfill your waste disposal requirements. Our customers count on us time and time again for their City of Chandler Dumpster Rental. Call our team today and we’ll help you decide the right size, weight and price for your project. At Discount Dumpster, we go the extra mile to ensure our customers receive their dumpsters quickly and dependably. We dispatch all over the City of Chandler, and we’re able to be nimble and quick for our deliveries and pick ups. Call us today to discuss your dumpster needs with our friendly team, and we’ll get you all set up.